The Auto industry in India is not only growing, but the significant feature of this growth is the increasing use of plastics to make the products strong, efficient and still competitive. The way the industry is looking at the benefits of using plastics in automobiles, it will not be surprising that cars in future would be 50 per cent by weight in plastics. Thus, it is forecast that the use of plastics in cars in future have nowhere to go but “UPWARD”. The automotive industry continues to have a large impact on the economy of the country and is a visible industry for plastics. The importance of the automotive industry is evident as it is one of the largest industries in the world employing around ten million people. India is today, the 7th largest producer of automobiles in the world and with more and more overseas auto majors preferring to set up manufacturing in the country, India has emerged as hub for autos and ancillaries. Plastics have played a pivotal role in this growth and as a material; it is today the industry’s delight. The trend, world over, is to go for smaller, lighter, safer, greener and more fuel efficient cars. The viable solution is plastics. Plastics help produce lightweight, resilient and recyclable car components and parts. Plastics have enabled auto manufacturers to produce lightweight vehicles at an economical cost, enhancing safety, strength, reliability and comfort, in addition to fuel economy. The fuel economy resulting from replacement of metals with plastics has been a key consideration for the switchover to plastic auto components. While presenting the significance of growing use of plastics in automotive industry, Mr. Ajay Jain, Chairman and Managing Director, Precision Pipes and Profiles Co Ltd, said that, “Plastics is no more an option. It is infact, the material of choice for the vibrant automotive sector. While plastic is 3 times lighter than aluminium and 7 times lighter than sheet metal, it meets regulatory requirements, functional requirements, environmental requirements, all in one go! Bumper, dashboard, fenders and body trims are already well established with plastics. To provide a further boost to the use of plastics in automotive industry, Plastindia Foundation is holding the ninth edition of Plastindia 2015 from February 5-10, 2015 at Pragati Maidan, New Delhi. This mega show is supported by the Ministry of Chemicals and Fertilizers and will be one of the third largest shows in the plastics industry globally, with strong international participation. 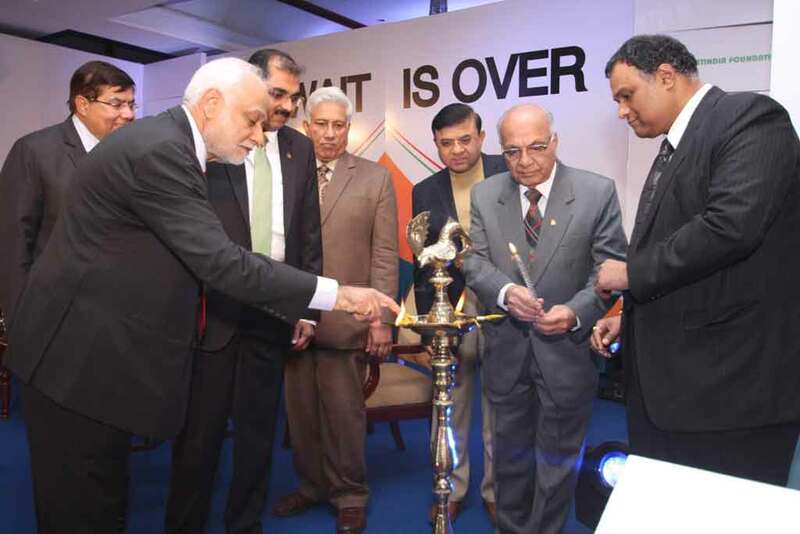 Plastindia 2015, spread over 125,000 sq. meters of area, will have over 2000 exhibitors from over 40 countries and over 150,000 business visitors. Joining hands with the Plastindia Foundation, the apex body of major associations, organizations and institutions, including Government & Semi Government organizations associated with plastics are major internationally acclaimed partners such as Messe Dusseldorf GmbH, Adsale Exhibition Services Ltd, Pilatus International Co Ltd and supported by EUROMAP – The European Plastics and Rubber Manufacturers Association, the British Plastics Federation, . The Foundation’s main objective is to promote the development and growth of the Indian Plastics Industry in India and is dedicated to national progress through plastics. Mr. J.R. Shah, Chairman National Executive Council, Plastindia Foundation, said, “Meeting the agenda of sustainability in automobiles is best possible by use of plastics. Light-weighting continues to be the buzz-word for this industry. Plastics is the answer! It helps in improving the sustainability by reducing overall weight. A well proven fact is that a 10% reduction in weight of the total vehicle, improves the fuel economy by 5 to 7%. In addition, every kg of vehicle weight reduction has the potential to reduce CO2 emissions by 20 kg. Reducing weight of cars is the key to using less energy and minimizing wear and emission”. 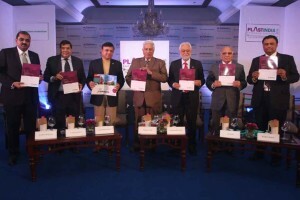 “With the main objective of Plastindia Foundation being the promotion, development and growth of the Indian Plastics Industry in India, we have initiated steps to be the driving force for the MSME’s by facilitation, counseling and advising them on the processes and steps to avail of the Technology Upgradation Fund offered by the Government of India. This will be an eye-opener to many and emphasize India’s position as the world’s sourcing hub for plastics finished products”, added Mr. Shah. The six-day mega event, Plastindia 2015 will bring under one roof major global and Indian Plastics Industry innovators. The exhibition and conference will reveal the cutting edge technological developments, equipments and products. 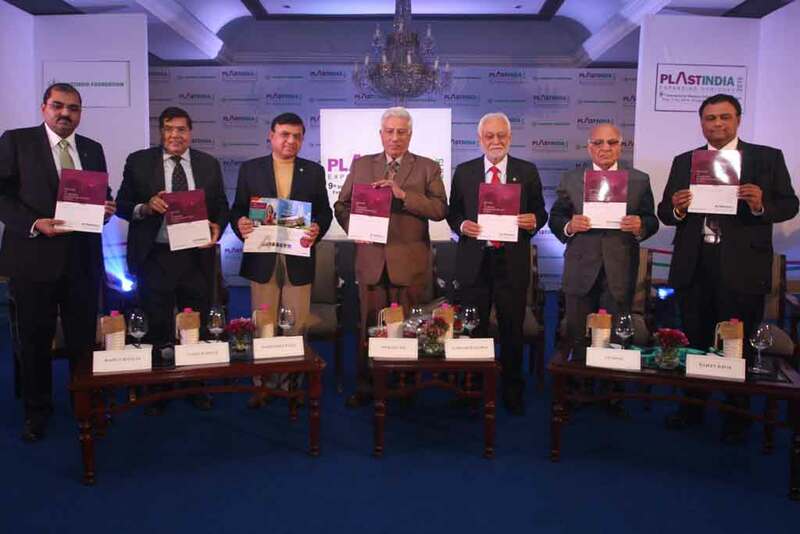 Plastindia 2015 takes further the innovations from the earlier version, in that; it will concurrently host Proplast 2015 and an International Conference to draw the attention of the entire business fraternity. Plastindia 2015 will be the 9th edition in the National Capital at the same venue with a lot of innovations, improvements and facilities eminent academicians, consultants, professionals, technocrats, research scientists and industry experts will participate and share their views during various seminars.